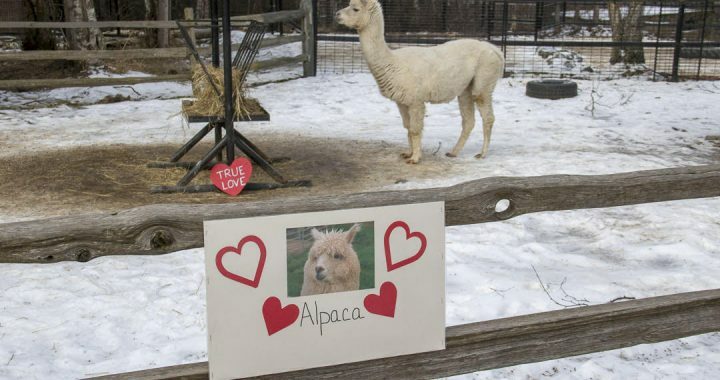 The Alaska Zoo is giving the community a chance to show their love for zoo residents again this year with its annual Valentines for the Animals event. On Saturday, Feb. 16, visitors to the Alaska Zoo can make valentine cards for the animals at the card craft station and hand deliver the notes to large envelops located at each animal habitat. 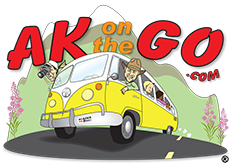 An added bonus – kids get in free. Attendees of all ages are encouraged to share the love with their favorite animals. 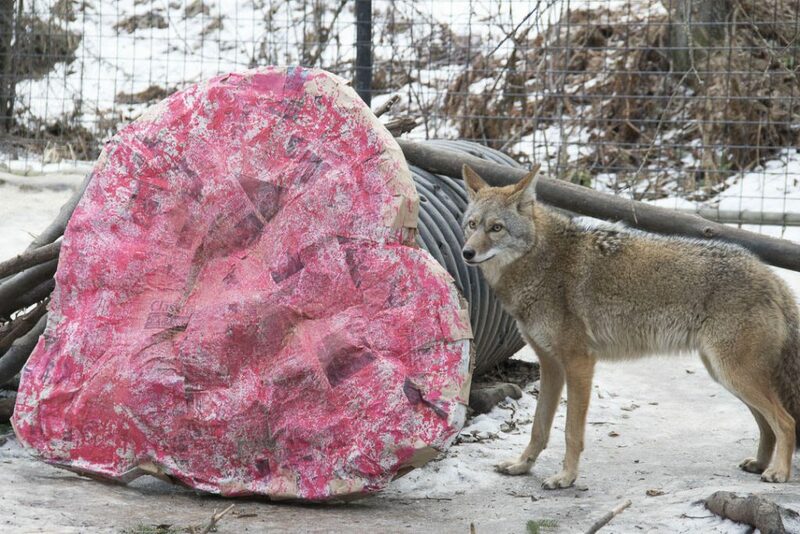 Valentines for the Animals is from 10 a.m. to 4 p.m. with the last public entry at 3:30 p.m.
A howling good time at the Alaska Zoo, any time of year. Michael Mundt image. This love affair isn’t the only reason to visit the zoo in February, though. As the Alaska Zoo celebrates its 50th year, they have a few surprises planned. 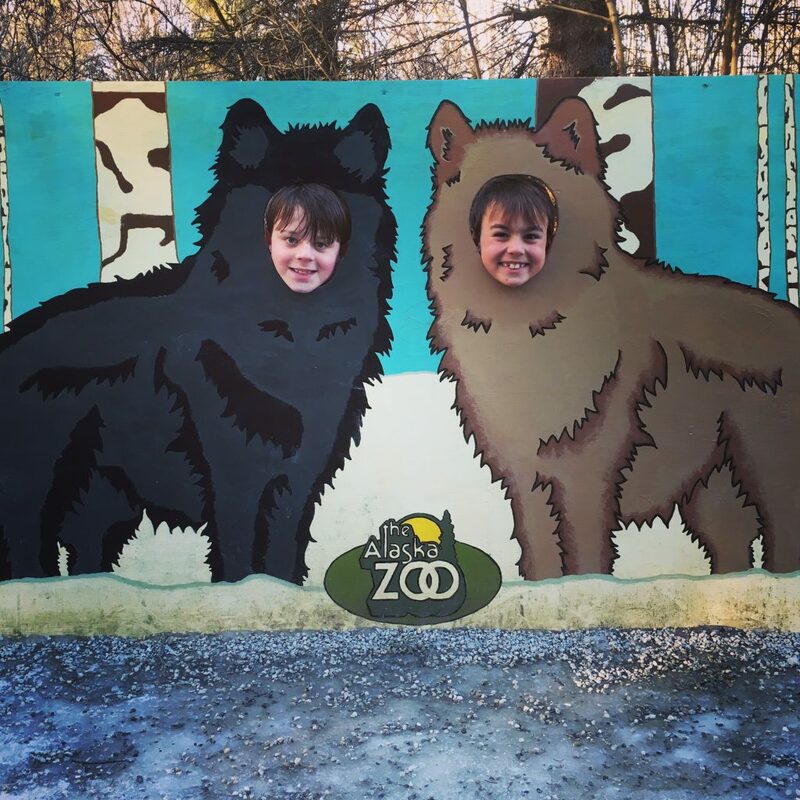 To top off the February fun, the Alaska Zoo is offering Five-Dollar Fridays for the entire month of February. Zoo Lights will continue every Thursday-Sunday from 6:30 – 8:30 p.m. through March 3, and tickets will also be on sale for $5 on Fridays during the month of February. For those not able to make it out on a $5 Friday, tickets for Zoo Lights are $9 for non-members. As always, Alaska Zoo members receive the discounted $7 admission rate, and children under two years old are admitted for free. 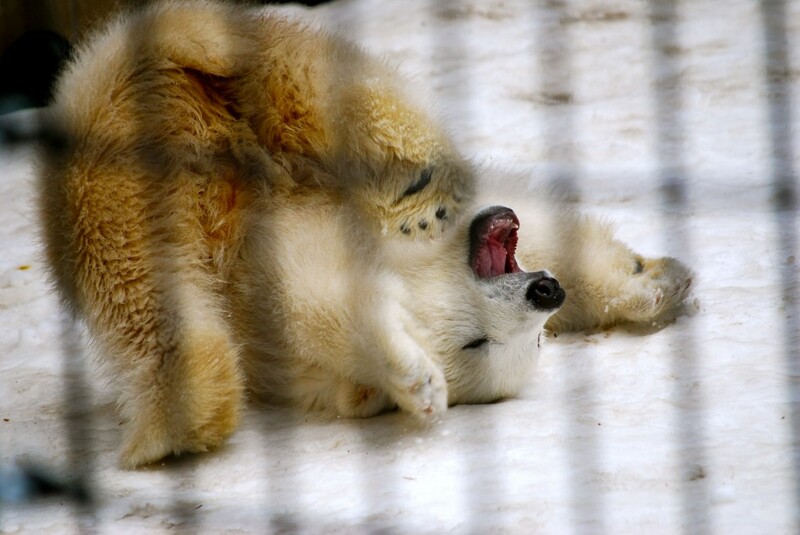 It may be cold outside, but this is the best time to visit the Alaska Zoo. In addition to enjoying February’s special events, visitors can expect the Alaska Zoo’s Arctic and sub-Arctic animals to be especially active this time of year. Visitors who want to share in the love all year long may purchase an annual Alaska Zoo membership. In addition to supporting the zoo and its animals, membership includes great benefits like free admission to regular zoo events and discounted admission to special events like Zoo Lights. Learn more about upcoming events and how to support the zoo’s favorite resident animals at www.AlaskaZoo.org. The Alaska Zoo is a nonprofit organization that has provided a home for orphaned, injured and captive-born animals for 50 years. Open year-round, the zoo is dedicated to promoting conservation of Arctic and sub-Arctic species through education, research and community enrichment. Additional information on admission rates, history, animals and more is available at www.AlaskaZoo.org. Posted in Alaskan Winter Fun, Downtown Anchorage and tagged Alaska, Alaska with Kids, Alaska Zoo, Anchorage, Anchorage With Kids, Family Travel, travel Alaska, Visit Anchorage.